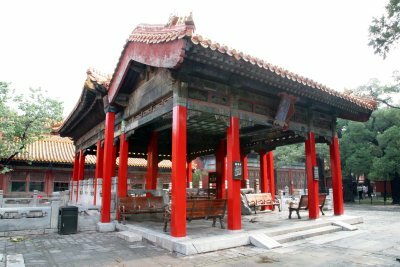 Constructed in 1583 during the Ming dynasty (1368-1644), this pavilion with veranda stands on a single-arched bridge spanning a fish pond. This square pavilion has four open sides and a pyramid-shaped roof with green glazed tiles. The attached veranda has a rolled roof. 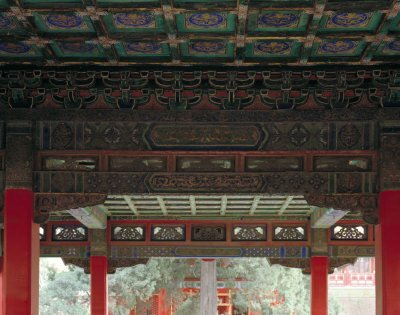 The pavilion is symmetrical paired with the Pavilion of Floating Jade (Fubi ting) on the garden's east side.